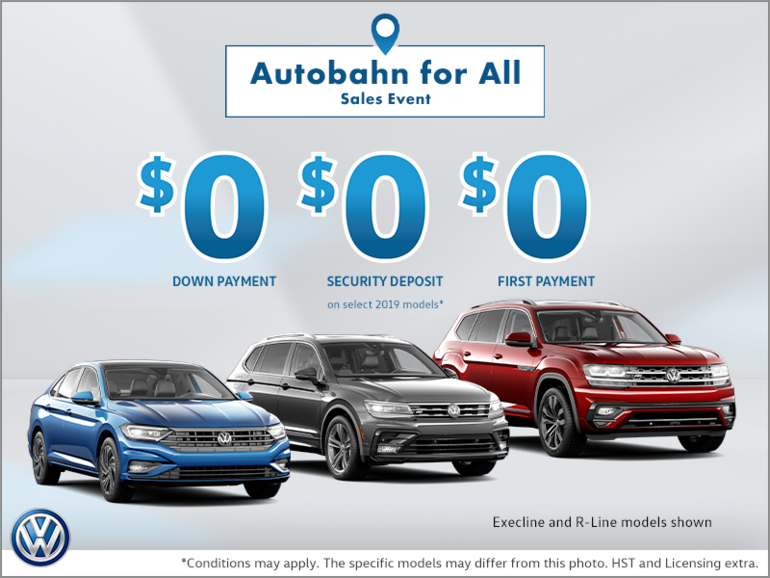 Autobahn for All Sales Event! Get $0 down payment, $0 security deposit and $0 first payment on select 2019 models! Certain conditions apply, this offer ends on April 30th, 2019! I wish to receive recalls, news and promotional emails from Mississauga Volkswagen.